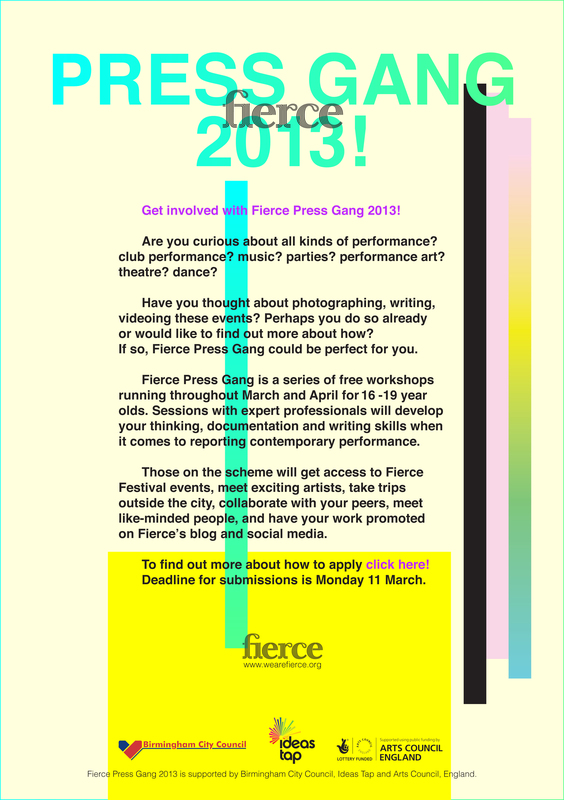 Fierce Festival | Fierce Press Gang 2013 – Deadline 11th March!!!! Fierce Press Gang 2013 – Deadline 11th March!!! !